I wish Bethany Cosentino and I were friends because she is seriously the coolest girl in the world. 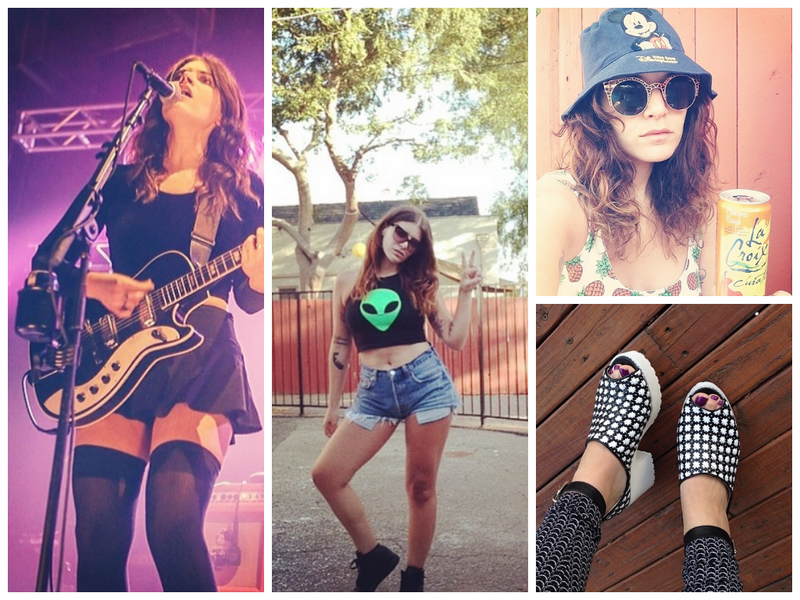 She plays guitars, sings, and writes songs for Best Coast, a surf rock band that sounds like Sheryl Crow smoking a bunch of weed by a pool in LA. 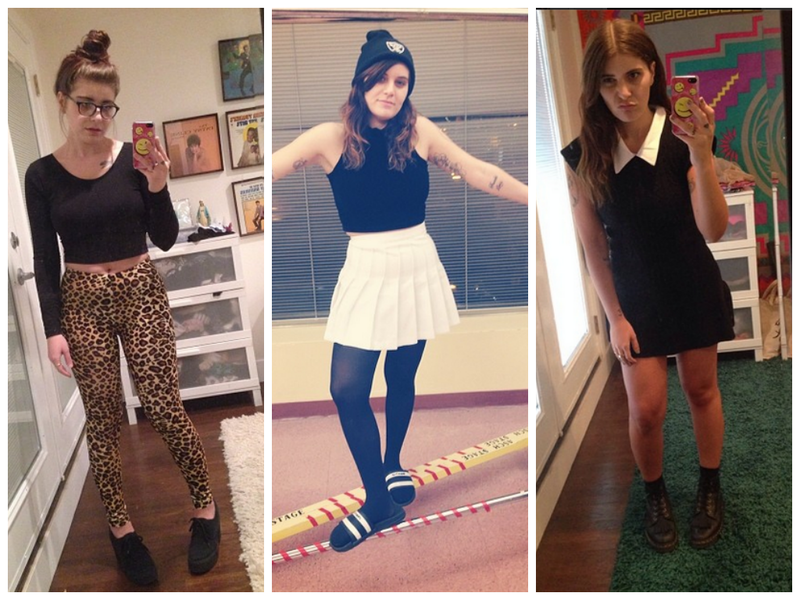 Her instagram (@bscbscbsc) is a mix of chill selfies and Seinfeld references. 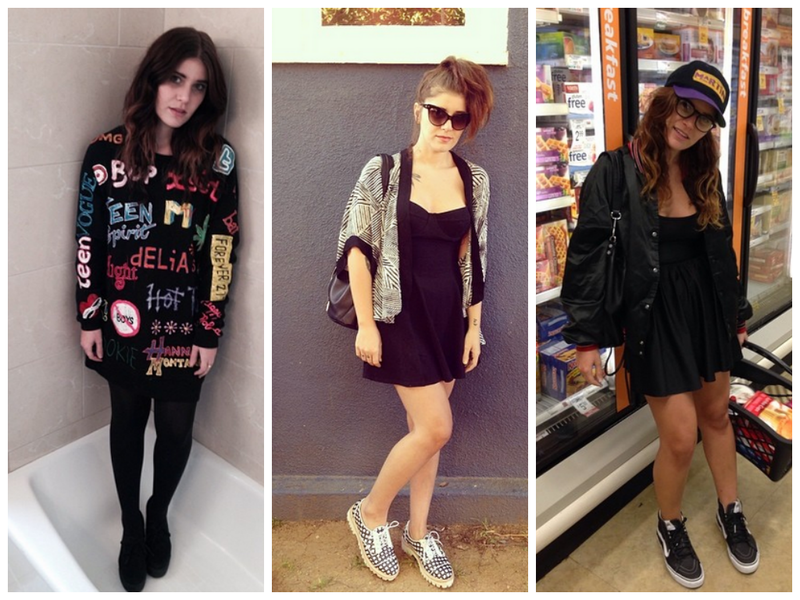 Bethany’s style is effortlessly cool. Like, I would really believe that she just got up and threw on a Drake print crop, white tennis skirt, and Nike slide sandals. I pulled together some of her most awesome looks as evidence. I love how this girl never steers away from a conversational print. Like, where do you even buy a matching set featuring characters from The Simpsons? Or Beyonce’s face? Amazing. And that hair! Please tell me your secrets for making a center part work! 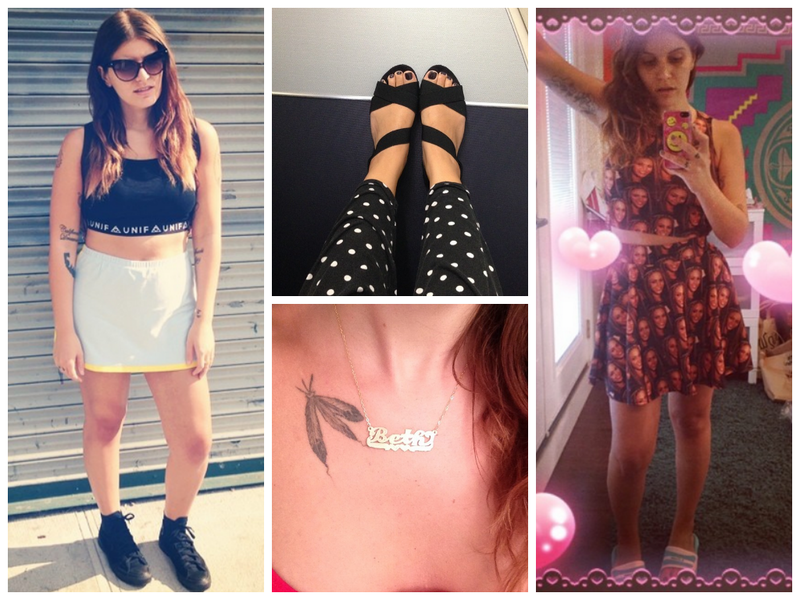 You can follow me on Bloglovin, Instagram, Twitter, or Pinterest.